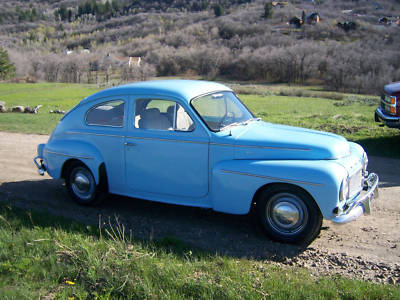 Have you driven a 1962 Volvo PV544? 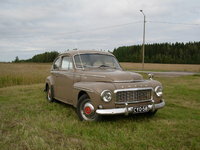 Displaying all 2 1962 Volvo PV544 reviews. This Was Fun — A race car, low budget fun in a gravel pit. No fancy stuff since the formula included a rule saying anyone had the right to buy the car at the end of an event. Loads of fun for a few bucks. Looking for a Used PV544 in your area? First Love — My very first car. I spent a lot of time improving it: - Low weight, 2 litre engine, four speed with overdrive, power assisted disk brakes, and a few other things made it a blast to drive even if handling could have been much better. Rusted away under me. Pros: Easy to work on and fun to drive.